Professor Ozumba hails from Abba in Njikoka Local Government Area of Anambra State. He was born March 21, 1954. Professor Ozumba studied medicine at the University of Lagos where he obtained his Bachelor of Medicine and Bachelor of Surgery. Subsequently he gained his postgraduate qualifications from the Royal College of Obstetrician and Gynaecology in United Kingdom and College of Surgeons in United States of America. 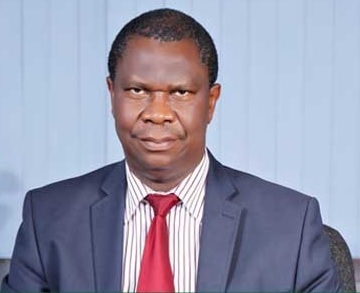 Professor Ozumba was appointed the Vice-Chancellor of the University of Nigeria, Nsukka in June 2014. Prior to that, he was a Professor/Consultant in the Department of Obstetrics and Gynaecology in the Faculty of Medical Sciences and Dentistry; a position he held for over twenty (20) years. He has received a number of national and international award and honours including the Swedish Anders Fredrik Regnell Award for the break-through study ‘hypertension, diabetes and obesity’; Distinguished Service Award from the President International Federation of Obstetricians and Gynecologists. He authored number of books and editorial member of several journals. He also held several national and international appointments, chaired a number of national committees and contributed immensely in the improvement of university education in Nigeria. He is married to Chinelo Ozumba (Nee Udokwu) and blessed with five children.